This is the third and final installment in our series on the Constitution at the border. Today, we’ll focus on the Fifth Amendment and passwords. Click here for Part 1 on the First Amendment or Part 2 on the Fourth Amendment. 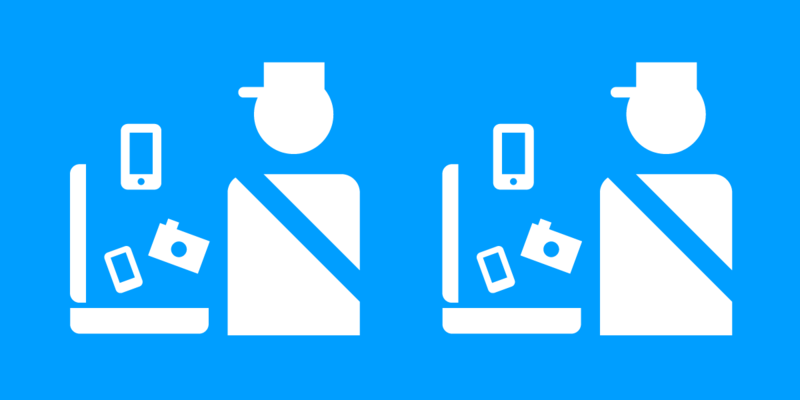 Lately, a big question on everyone's mind has been: Do I have to give my password to customs agents? As anyone who’s ever watched any cop show knows, the Fifth Amendment gives you the right to remain silent and to refuse to provide evidence against yourself – even at the border. If a CBP agent orders you to unlock your device or provide a password, you have a Fifth Amendment right to refuse to do so. You might simply say "no." In addition, you may tell the agent that you choose to remain silent and want to speak to an attorney, even if you don't have one retained yet. That choice may not stop CBP agents from pressuring you to “voluntarily” talk to them, but they are supposed to stop questioning you once you ask for a lawyer. Also, beware that government agents are permitted to lie to you in order to convince you to waive your right to remain silent, but you can be criminally prosecuted if you lie to them. But you don’t have to be in custody or subject to a criminal prosecution before you choose to invoke your Fifth Amendment rights to remain silent or to object to being deprived of your property without due process of law. For example, the Second Circuit Court of Appeals has held that a person’s request for an attorney is enough to invoke the privilege against self-incrimination, even at the border. And that privilege includes refusing to provide the password to your device. For example, in 2015, a Pennsylvania court held that you may properly invoke the Fifth Amendment privilege to avoid giving up your cell phone passcode – even to an employer’s phone – because your passcode is personal in nature and producing it requires you to speak or testify against yourself. Some courts have been less protective, overriding Fifth Amendment protections where the information sought is a so-called “foregone conclusion.” In 2012, a Colorado court ordered a defendant to provide the password to her laptop, only after the government had obtained a search warrant based on the defendant’s admission that there was specific content on her laptop and that the laptop belonged to her. On appeal, the Eleventh Circuit clarified that the government "must [first] show with some reasonable particularity that it seeks a certain file and is aware, based on other information, that . . . the file exists in some specified location" and that the individual has access to the desired file or is capable of decrypting it. So, Fifth Amendment protections do apply at the border, and they protect your right to refuse to reveal your password in most circumstances. That said, individuals passing through the border sometimes choose to surrender their account information and passwords anyway, in order to avoid consequences like missing their flight, being made subject to more constrictive or prolonged detention, or being denied entry to the US. As we have noted in our Digital Border Search Whitepaper, the consequences for refusing to provide your password(s) are different for different classes of individuals. If you are a U.S. citizen, CBP cannot detain you indefinitely as you have a right to re-enter the country. However, agents may escalate the encounter (for example, by detaining you for more time), or flag you for heightened screening during future border crossings. If you are a lawful permanent resident, agents may also raise complicated questions about your continued status as a resident. If you are a foreign visitor, agents might deny you entry to the country entirely. But whatever your status, whether you choose to provide your passwords or not, border agents may decide to seize your digital devices. While CBP guidelines set a five-day deadline for agents to return detained devices unless a CBP supervisor approves a lengthier detention, in practice, device detentions commonly last many months. We recommend that you review our pocket guides for Knowing Your Rights and Protecting Your Digital Data Privacy at the border for a general overview or take a look at our Border Search Whitepaper for a deeper dive into the potential issues and questions you may face. And join EFF in calling for stronger Constitutional protection for your digital information by contacting Congress on this issue today.